Since the upcoming Wolf Parade reunion tour was unveiled in January, co-frontmen Dan Boeckner and Spencer Krug have announced albums by their other bands: Boeckner's Operators recently released their debut LP, Blue Wave, and Krug's Moonface project has teamed up with Finnish rock band Siinai for My Best Human Face, coming June 3. Despite all this other material, the pair have unveiled that there is a new Wolf Parade EP in the works. Speaking to Exclaim!, Boeckner and Krug reveal that the band's live shows will feature up to six new songs sprinkled among the group's existing repertoire, and four of these will be on an upcoming EP. "The stuff we've been coming up with is pretty different than the stuff we left off on," Boeckner says. "I think the songs on Expo 86 were as close as we ever got to prog rock — very complex arrangements. I see those songs as sort of big slabs of interlocking riffs, y'know? And this new stuff is comparatively really short, more like Apologies-length stuff. And I'm really happy with it, it's pretty energetic. All the songs are really fast." Both members speak highly of the new material and revealed some nervous anticipation about showcasing it in the upcoming months. "As someone onstage, that's the most dangerous moment of the set," Krug said. "That's when you're the most vulnerable." Boeckner adds, "There's a heavy glam vibe on the new stuff, which I'm really diggin'," mentioning one new track "kinda reminded me of early Queen and The Rocky Horror Picture Show soundtrack." Krug even goes on to say, "Its working title is 'Rocky Horror,' which was not what we set out to do, but that usually happens with us. It's like we have an idea, and then by the time everything gets flushed out and finished, it ends up in a very different place than we intended. And sometimes that place is comically far away from what you intended. Or ends up sounding just like the Rocky Horror Picture Show. That's what came out, and you just sorta run with it." Krug also mentions a track tentatively titled "Boy Division," which "sounds like an amateur Joy Division." 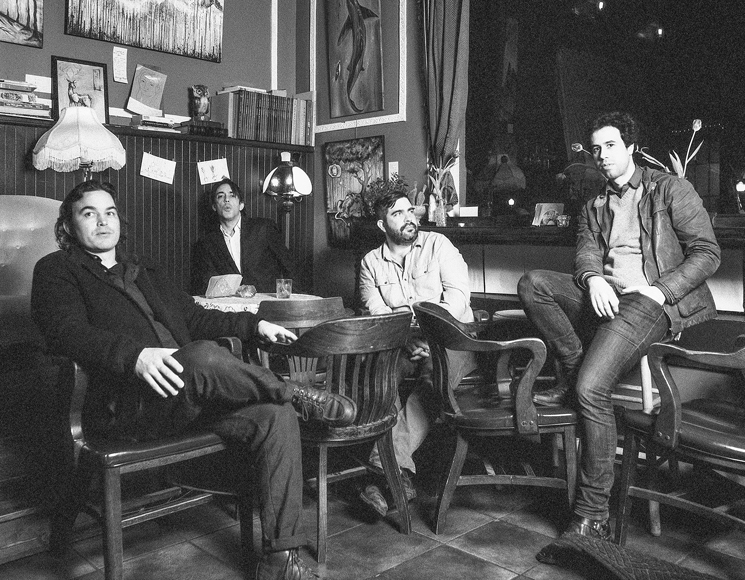 Though there are plans to record a new album within the next year, the EP marks a symbolic return to Wolf Parade's early work. "We very quickly decided to start with an EP," Krug explains. "That's how the band started the first time around, a couple EPs, and we started getting used to having music in the world and it felt good to just sorta do it the same way. Not coming back with this huge statement, just an EP that we think is alright and we'll go from there." While neither Boeckner nor Krug was completely sure when the EP will be released, they both hope that it comes in time for their reunion shows, which begin in New York on May 17. The deluxe reissue of Apologies to the Queen Mary drops May 13 on Sub Pop. You can see all the band's upcoming tour dates here.